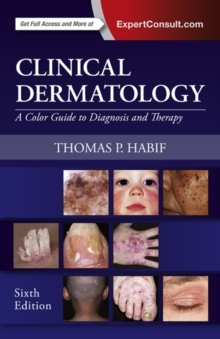 Get practical guidance from renowned dermatologist Dr. Thomas Habif and his expert team of co-authors in this user-friendly, focused text. 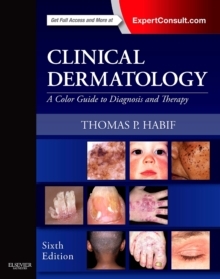 Written specifically for the non-specialist, this easy-to-follow reference offers precisely the diagnostic and treatment information you need to quickly identify the 250 skin disorders you're most likely to see. 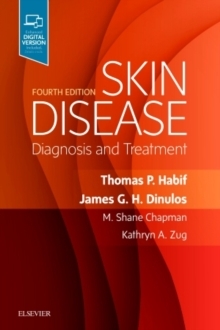 It's an ideal resource for any medical practitioner who'd rather treat than refer patients with skin disease, as well as an excellent review for board preparation. Comprehensive yet concise, bullet-point format provides classification of primary, secondary, and special lesions, pediatric considerations, clinical pearls to guide decision making, and more. 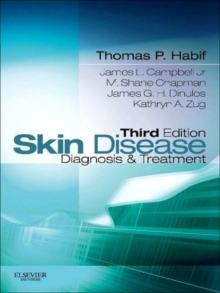 Disorders Index at the front of the book speeds you quickly to a desired topic, and the dermatologic drug formulary and "differential diagnosis by anatomical region and lesion" guide provide rapid access to essential clinical information. Easy-to-understand schematics indicate disease distribution across the body (from rare to common) for each key disorder. Updated with the latest therapy options and expanded coverage of key topics, including drug reactions and tropical disease. Hundreds of new and never-before-published images (more than 1,000 photographs in all) clearly depict how skin disorders present at different stages. Expert ConsultT eBook version included with purchase.